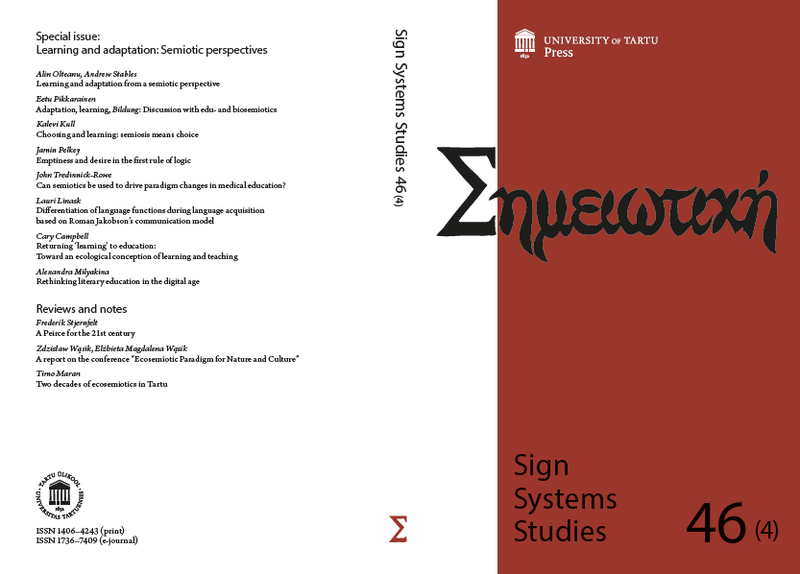 We are happy to announce the publication of the new issue of Sign Systems Studies. 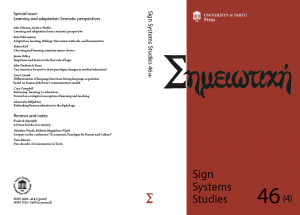 An international journal of semiotics and sign processes in culture and living nature, the journal Sign Systems Studies was established in 1964 by Juri Lotman (initially as Труды по знаковым системам – Σημειωτικη), and is thus the oldest international semiotic periodical. Originally (until 1992) a Russian-language series, it is now published in English, and has become a central institution in the semiotics of culture. Starting from 1998, Sign Systems Studies is published as an international peer-reviewed journal on the semiotics of culture and nature. Issued regularly, one volume per year, it is indexed in major scientific databases. Since 2009, each volume includes four issues. John Tredinnick-Rowe, Can semiotics be used to drive paradigm changes in medical education?